Are you ready for Halloween? 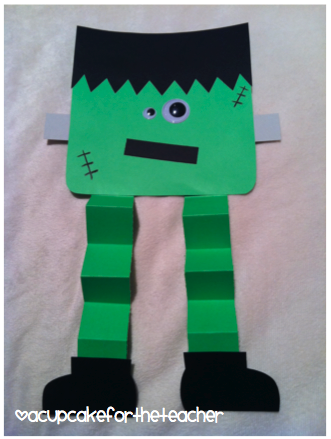 Add “Marching Monsters” to your Halloween activities It’s easy and fun to do. Show your students pictures of the four characters in the song–monsters, skeletons, witches, and jack-o-lanterns. You can use the google slides below to print flashcards or just share these on your device. You can easily sync your music to these slides. Practice the four verbs– march, skip, sway side-to-side in a waltz, and jump! Can you march like a monster? Can you skip like a skeleton? Can you waltz like a witch? Can you jump like a jack-o-lantern? 1. Marching monsters! Happy Halloween! Boo! Marching monsters! Happy Halloween! Boo! Marching monsters, Turn around and stop! (hold) Marching monsters Happy Halloween! Boo! 2. Skipping skeletons! Happy Halloween! Boo! . . .
3. Waltzing witches! Happy Halloween! Boo! . . . .
4. Jumping jack-o-lanterns! Happy Halloween! Boo! . . . .
Just watch the video and have fun! Did you notice that you can build phonemic awareness with this song too? The word pairs begin with the same initial sound. You can separate the verbs and nouns. Students match. For a bigger challenge, write the letters m, sk, w, j, and h on the board. What pair of words begins with these letters in the song? h-> Happy Halloween! You can find a simple worksheet here to practice. It’s October and we’re busy singing and dancing to Halloween songs. My students love getting up and moving to a song! At this time of year, we’re marching like monsters, skipping like skeletons, waltzing like witches, and jumping like jack-o-lanterns. 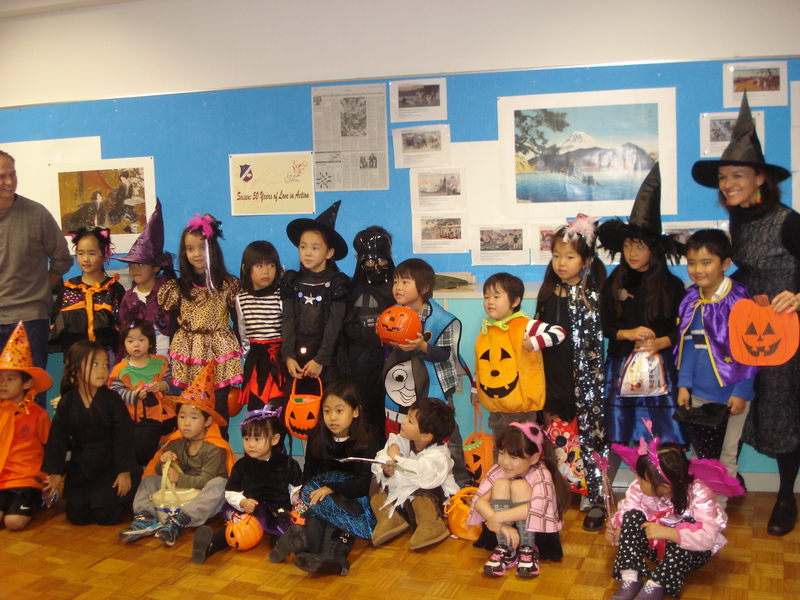 If you want to find more Halloween songs, you can find teaching notes for songs like “Marching Monsters” on earlier blogs on this site. On this blog, however, I want to share a handout and flash cards made by my good friend Setsuko Toyama. Setsuko is a well-known teacher trainer and author in Japan. On her worksheet, students match the same initial sound of the words, an important skill in developing phonemic awareness. They also have fun playing with alliteration, words that begin with the same sound. Many American nursery rhymes feature alliteration. I like having my students do craft projects from time to time. While they’re busy creating their artwork, I play music to fit the holiday. Kathy Kampa’s Special Days and Holidays CD has several Halloween songs that children can easily sing along to for your Halloween parties. Check out my Pinterest page for lots of Halloween craft activities.